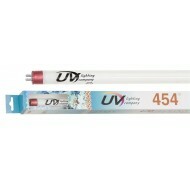 The first lamp to offer 75% 420nm and 25% triband White Phosphors. This lamp peaks at 460nm and h..
Actinic white is the first of its kind to offer a 50/50 combination on triband and actinic phosph..
A different type of fluorescent light is the VHO (Very High Output) bulb. Similar in appearance t..